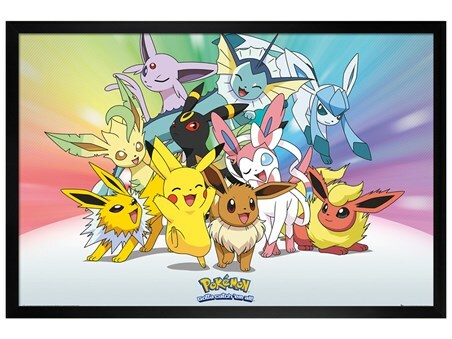 Gaming Poster: A trainers first pokemon is often their fondest, as this poster depicts the starting pokemon from all 6 generations of games and their respective evolutions. 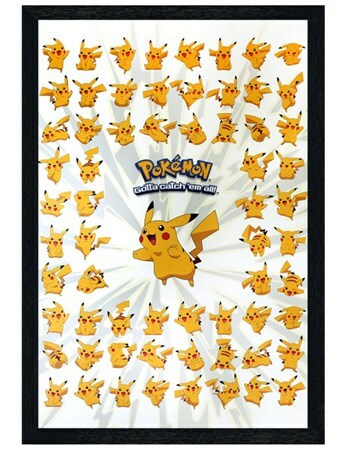 So you need these little guys at your side at all times! 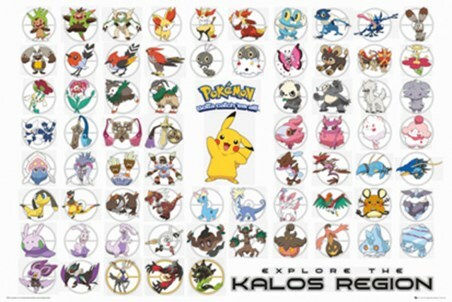 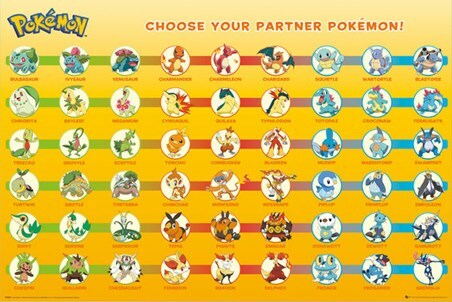 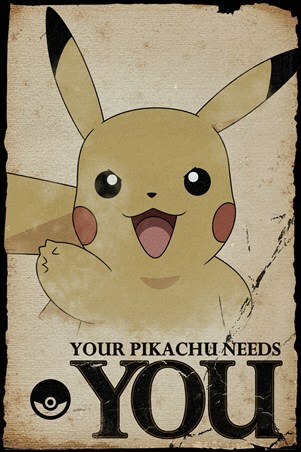 This vivid yellow poster will help you to decide who you would like to accompany you on your next adventure, choose from over 45 characters including Samurott, Delphox, Serperior and Charizard and be prepared next time you get gaming!